Cloud storage is getting cheaper by the day, but nothing beats downright free. Some of the top services have come up with a few schemes that will raise your online gigabytes without spending a dime. Sign up for or log in to Bing Rewards. Bing Rewards is a promotional program from Microsoft with which you get paid to search with Bing Get Paid To Search With The Bing Rewards Program Get Paid To Search With The Bing Rewards Program Google is king, but Bing is pushing its case. The Bing Rewards Program helps you earn credits while you discover the Web. It's a simple way earn little rewards for your browsing. Read More , among other things. Click “Free storage” in your Rewards Dashboard, under “Earn and explore”. Follow the steps to earn your 100GB of free storage space for up to 2 years. OneDrive already gives you 15GB of free storage space, so that’s a total of 115GB of cloud storage for you, linked to your Outlook.com account. Given its tight integration with Windows, this is fantastic for Windows users, but there are several other great ways to make the most of OneDrive storage How To Best Use Your 15GB Of Free OneDrive Storage How To Best Use Your 15GB Of Free OneDrive Storage OneDrive gives you a healthy dose of cloud storage for free. Let's take a look at what you can do with that. Read More . This offer is now accessible worldwide. You don’t need to use Hola to get it. If it still doesn’t work for you, the Hola way as below is a workaround. Update: It was 100GB. Now, if you’re a Dropbox user, you can actually get an additional 100GB of free storage on OneDrive for one year. Here’s how. Click “Verify and get my storage”. OneDrive will ask you to sign into your Dropbox and save a document there on getting started with OneDrive. Just follow the steps and accept the settings. Once you’re done, sign into OneDrive and you’ll find another 100GB added to your online storage. Right now, Bing Rewards is available only for those in the US. However, there is an easy workaround for this. We’ll be relying on Hola Unblocker, a simple way to access region-locked content Hola Unblocker - Easily Access Region-Blocked Content Hola Unblocker - Easily Access Region-Blocked Content Access sites like Hulu, CBS, iTV and Pandora regardless of which country you're in. Even better, there's no need to change your DNS settings or set up a VPN. Hola Unblocker is an Android app,... Read More . Download the Hola Unblocker extension for Chrome or Firefox. Click the Hola Unblocker icon and select “United States” as the country. Refresh the Bing Rewards page. 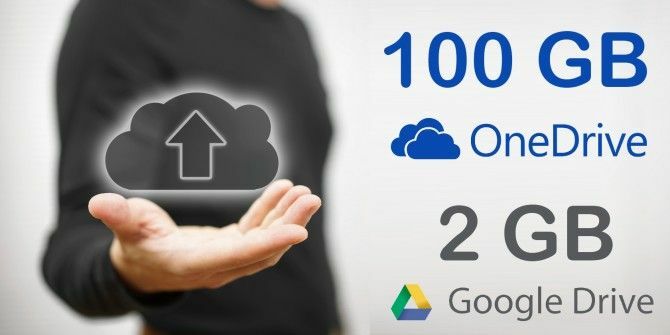 While the OneDrive upgrade offer is restricted to two years, Google Drive is offering to give you an extra 2GB of cloud storage permanently. The crazy part? You get it for completing a security check-up with Google, which is good practice anyway. However, you need to complete this security check-up before February 17 to qualify for the upgrade. With the backdrop of the Safer Internet Day, Google is reminding us about online safety. Sign in with your Google/Gmail account. Go through the security check-up steps, which ask you to verify your recovery information, check your recent activity, enable/disable access for less secure apps, and check which devices and apps have access to your account. This is a good time to clean up unwanted apps or old devices from your list! The storage upgrade will reflect in your account on February 28, Google says on its blog. This offer is not valid for Google Apps for Work and Google Apps for Education users. Once you get the bonus, there are lots of creative ways to use your cloud storage Top 10 Creative Uses For Dropbox Or Other Cloud Storage Top 10 Creative Uses For Dropbox Or Other Cloud Storage The agility, flexibility, and low-cost scale ups turn cloud storage options into more than an online vault to back up your documents and files. But cloud storage is more than these important but mundane uses.... Read More . 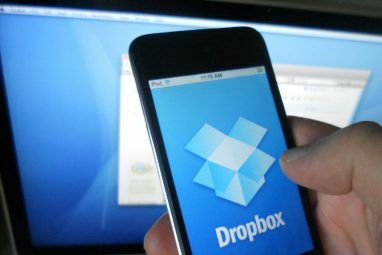 While OneDrive and Google Drive are offering upgrades, there is no such move from Dropbox. It can still go head to head with the others in the grand cloud storage battle The Cloud Storage Showdown - Dropbox, Google Drive, SkyDrive & More The Cloud Storage Showdown - Dropbox, Google Drive, SkyDrive & More The cloud storage scene has heated up recently, with a long-awaited entry by Google and a revamped SkyDrive from Microsoft. 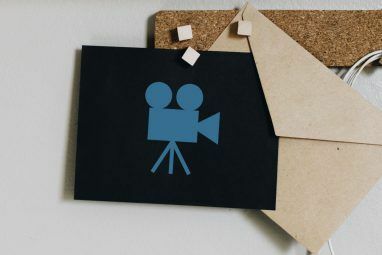 Dropbox has gone unchallenged by the major players for a long time, but that’s changed... Read More , but if you’re running out of space, there’s an old offer you can still tap. A gentle reminder from Dropbox landed in our inbox this morning, telling us that you can get an additional 1GB of free space if you download and use Mailbox. 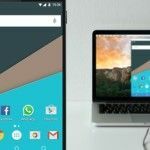 This email app is quite popular on iOS, and recently made its way to Android too Mailbox Comes To Android, But Is It Good Enough To Replace Gmail? Mailbox Comes To Android, But Is It Good Enough To Replace Gmail? Read More . What Will You Do With 100GB Cloud Storage? We’ve suggested some ways to use your cloud storage you may not have thought of 10 Ways to Use Your Cloud Storage That You May Not Have Thought Of 10 Ways to Use Your Cloud Storage That You May Not Have Thought Of When we talk about cloud storage, it usually revolves around backup and collaboration. So, let’s try to find some more interesting ways to fill up all the space they give us for free. Read More , but we want to know what you plan to do with OneDrive’s 100GB of free cloud storage. Get creative and tell us your plan! Explore more about: Cloud Storage, Dropbox, Google Drive, Microsoft OneDrive. P.S. You can use this 4shared Premium account for free ONLY in Citrio. To keep it active, make sure you log into your account at least once every two weeks. No thanks i don't want it. Hole and other online browser vpn aren't working, any idea (from canada )? Hola worked fine for me, ylan. Maybe try a non-browser VPN like Tunnelbear? Ha! What about 100 GB indefinitely from 4shered? Just check their free premium. Free premium?! There's an oxymoron if I ever saw one! I think the whole Google 15 gb thing sticks out like a sore thumb with so many other services offering more space for free. I simply use different services for cloud storage - Flickr for photos, Box.com for misc files (50 gb free there), and Google for smaller files (e.g. Google docs). It's not as convenient as having one service, but it's probably not the worst thing in the world. After all, if Google ever decided to lock me out of its service or delete my account, I wouldn't want to have all my eggs in one basket. If you don't mind brushing up on your Russian, sign up with mail.ru and they give you a massive 100GB for absolutely nothing! Mega's good, but I'm really not comparing it to GDrive or others. Thing is, I use Google Drive for a lot of things, so extra storage is welcome. Office Online is making me use SkyDrive more, so same way, I could use the extra storage. GOOD STUFF!! Thanks for sharing. Two years? No, don't want to sign up, fill the space, and then be stuck paying every year thereafter. Now, 100GB (or even 50GB) free forever -- that would be nice! As for Google -- 2GB seems a joke to me -- if not an insult. Google, however, asks us to perform a task in return for a paltry 2GB of cloud space.